I'm always looking for STEAM ideas for the math classroom. Luckily, inspiration for fresh and fun STEAM ideas seem to be popping up all around me. Last year, while working with the intervention students at my school, I incorporated winter-themed STEAM ideas into my lessons. 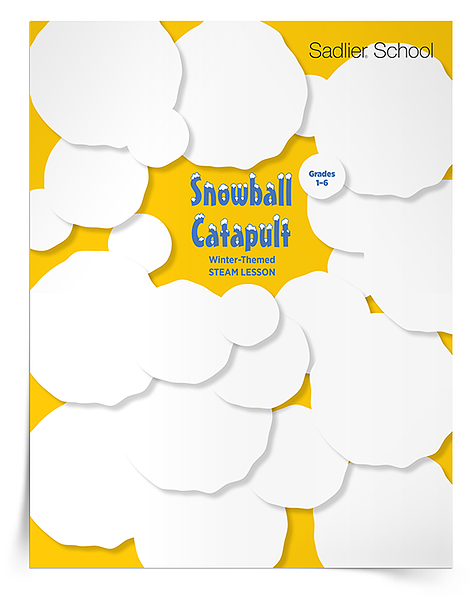 The STEAM idea that got my students most excited was based around launching "snowballs". With all the positive feedback I got from students, I decided to build out the activity into a 2-day lesson plan. 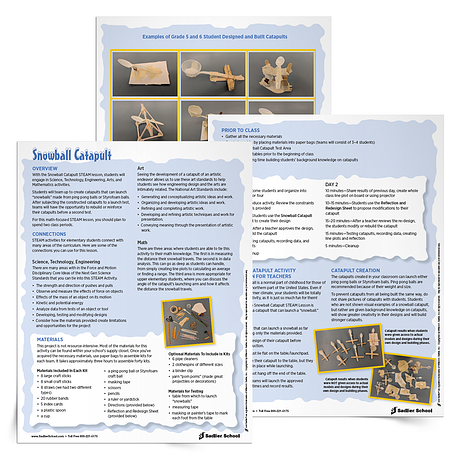 In this article, I'm sharing my printable Snowball Catapult STEAM Lesson for grades 1–6. The download for this post is a complete Science, Technology, Engineering, Arts, and Math (STEAM) lesson plan so you can quickly get it up and running in your classroom. 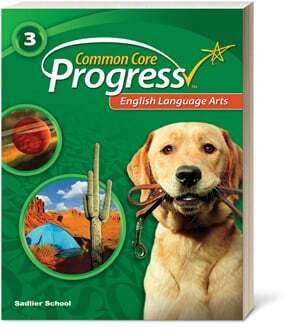 Included you'll find information about materials, classroom set-up, procedures, catapult design constraints, data collection, and example videos. 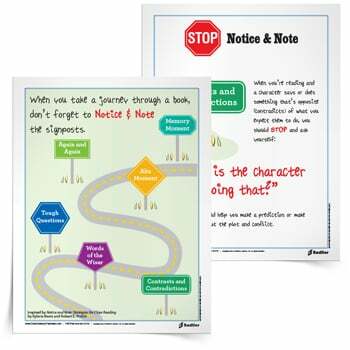 Plus, the lesson plan download also comes with instructions and reflection sheets for students. 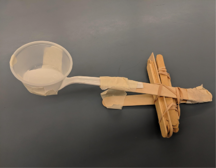 Before we explore the Snowball Catapult STEAM Lesson, I want to share with you some tips and observations that I have gathered as I have been implementing STEAM activities with my students. more engaged in these projects. willing to take more risks. improve their ability to specify a design. 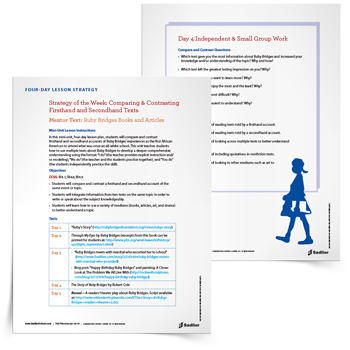 exhibit stronger cooperative work skills with their peers. 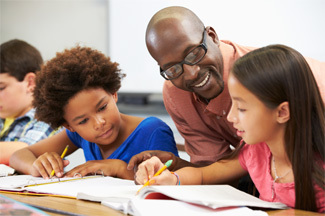 transfer their energy into the more traditional forms of our regular math intervention program. While STEAM activities certainly benefit all students, Ellen Edmonds, Executive Director of Professional Development for Sadlier, champions STEAM activities as a primary strategy to engage at-risk students. Her webinar “Motivating Reluctant Learners Through STEAM Activities” is worth watching if you haven’t seen it. 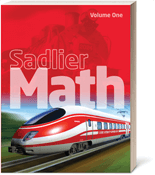 Sadlier Math provides rich resources through its textbooks, which offer STEAM Connections for every chapter in Kindergarten to Grade 6, as well as promoting STEAM through this blog. One of the big discussions among the teachers in my program is about how much help to give students when engaging in various STEAM activities. When we have students engage in STEAM activities, it is normal to feel concerned that they won't be able to build, design, create etc., without seeing examples. Experience has taught me that students show greater creativity in their designs and built stronger projects when the designs were left to their own imaginations. That being said, it is important to work with students prior to STEAM days to build their background knowledge. Teachers need to focus on building background knowledge, not providing examples! Throwing a snowball is a normal part of childhood for those of us who live in the northern part of the United States. Even if you are from a warmer climate, your students will be totally engaged in this activity, as it is just so much fun for them! With the Snowball Catapult STEAM Lesson, students will engage in Science, Technology, Engineering, Arts, and Mathematics activities. Students will team up to create catapults that can launch “snowballs” made from ping pong balls or Styrofoam balls. After subjecting the constructed catapults to a launch test, teams will have the opportunity to rebuild or reinforce their catapults before a second test. Teams must build a catapult that can launch a snowball as far as possible using only the materials provided. Teams must show a design of their catapult before they begin construction. All catapults must lie flat on the table/launchpad. Teams may tape their catapult to the table, but they may not hold it in place while launching. Catapult must not hang off the end of the table. When testing, teams will launch the approved “snowball” five times and record results. For this math-focused STEAM lesson, you should plan to spend two class periods. 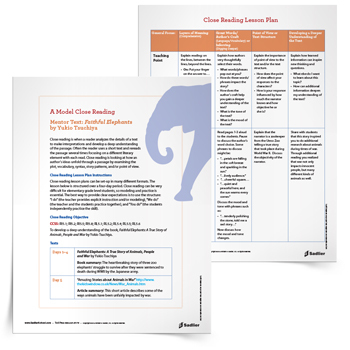 The download for this post is a complete lesson plan so you can quickly get it up and running in your classroom. Included you'll find information about materials, classroom set-up, procedures, catapult design constraints, data collection, and example videos. 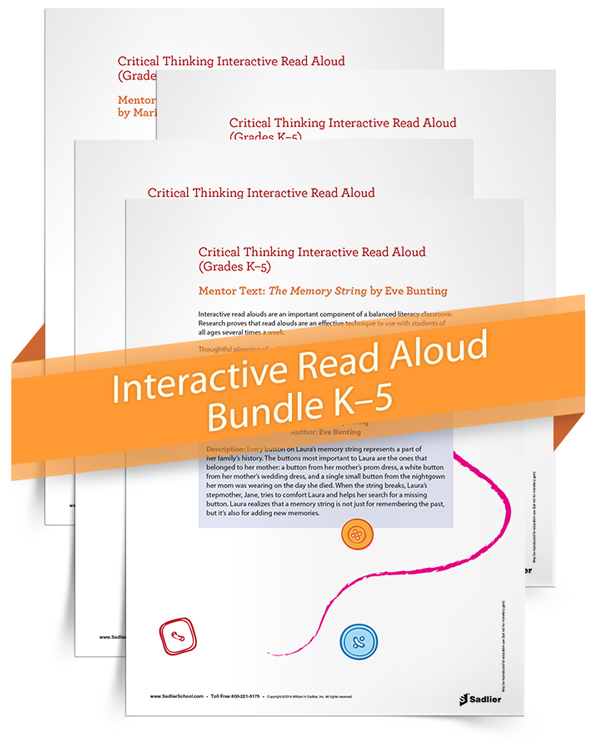 Plus, the lesson plan download also comes with instructions and reflection sheets for students. STEAM activities for elementary students connect with many areas of the curriculum. 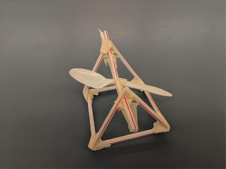 There are some great science and math tie-ins for this snowball catapult activity, as well as opportunities for students to use their sketching skills, which also makes this a nice connection to the art curriculum. Here are some of the connections you can use for this lesson. There are many areas with in the Force and Motion Disciplinary Core Ideas of the Next Gen Science Standards that you can tie into this STEAM Activity. There are three areas where students are able to tie this activity to their math knowledge. The first is in measuring the distance their snowball travels. The second is in data analysis. This can go as deep as students can handle, from simply creating line plots to calculating an average or finding a range. The third area is more appropriate for upper elementary students, where you can discuss the angle of the catapult’s launching arm and how it affects the distance the snowball travels. 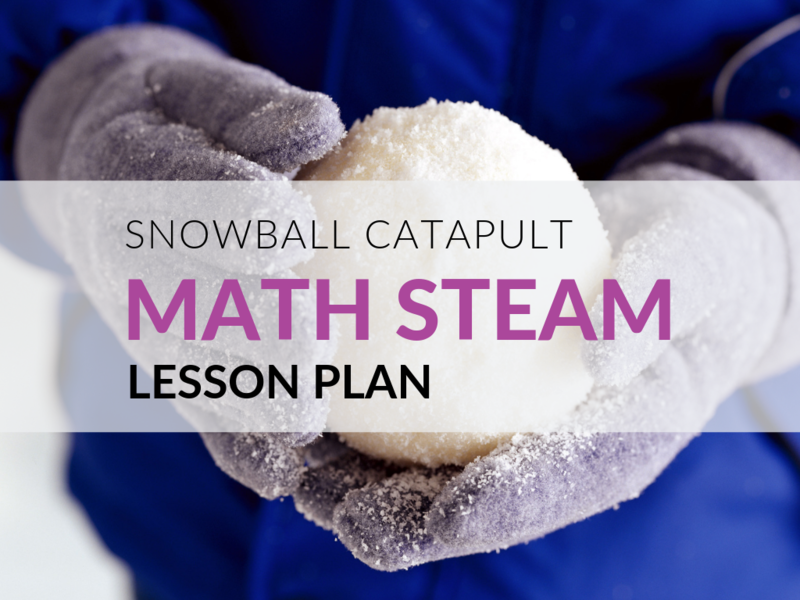 This snowball catapult lesson is one of the most engaging STEAM activities I have ever done. Students loved it! In addition, you probably have most of the materials you need in your supply closet, or you will find them cheaply and easily available from a local store, except for ping pong balls. The free downloads for this lesson will keep you on track and help students document their designs and their thinking. Here are some close-up photos and videos of students’ catapults. The videos show some of the designs in action. The designs below are what our Grade 5 and 6 students built without us giving them examples. If you are looking for other STEAM activities tied to math standards, please consider these other free activities and downloads available from the Sadlier Math Blog.